How can we think comparatively about what the humanities mean in multiple areas of the world with educational and funding systems not necessarily commensurable with U.S.-style “liberal arts”? For example, how are the humanities and arts talked about elsewhere? How are their histories and traditions different? How are they positioned relative to other disciplines, institutions, and social sectors? How are their different functions interrelated–memorial, educational, critical, research-oriented, etc.? In both the past and the contemporary moment, how are humanities and arts differently valued or challenged around the world? The 4Hum@UCSB local chapter of 4Humanities will host a discussion forum on “Global Humanities?” on March 12, 2014, noon-1:30 pm Pacific Standard Time (South Hall 2509). The featured participant will be Rens Bod, professor at University of Amsterdam, who will engage live online (video and audio) with David Marshall (Dean of Humanities & Fine Arts), Alan Liu, and others at UC Santa Barbara on the question of the humanities and global humanities. The event is being publicized internationally and will be live-streamed around the world. For those outside the Santa Barbara area, watch the live stream of the event on YouTube: March 12, 2014, noon-1:30 pm, Pacific Standard Time. [Time Zone Converter: calculate your local time] Click on the embedded video below to start! (We will initiate the live stream at least 10 minutes before the event, but please be patient if we start late due to technical arrangements.) Update: the recording of the event is now available below. See also the Storify of the @4Hum Twitter coverage of the event. Note: The event will be recorded (video and audio) and live-streamed on the Internet. The recording will be accessible after the event. 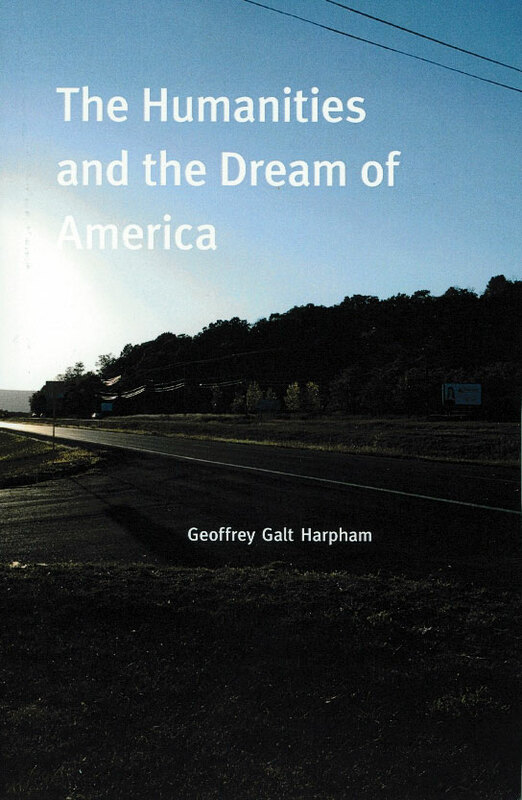 As preparation for the discussion forum, participants are encouraged to read the following materials chosen to stage the contrast between American and world points of view about the humanities. 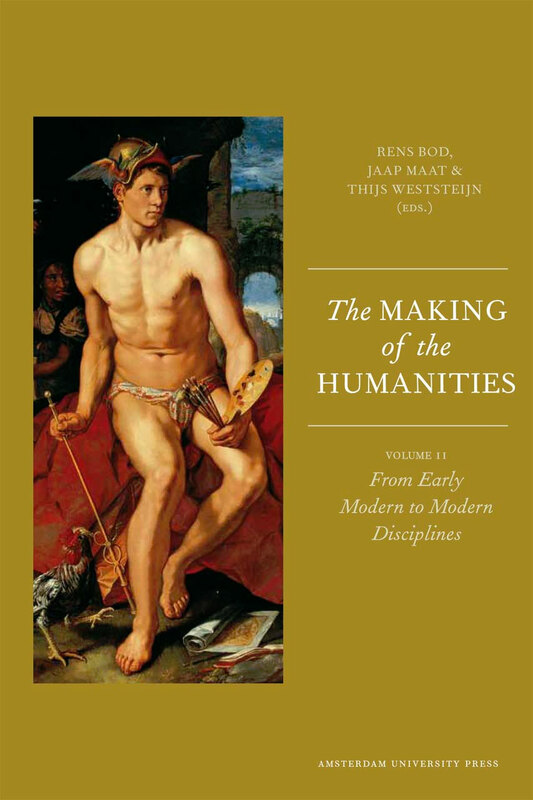 Rens Bod, professor at University of Amsterdam, is the author of the recently published A New History of the Humanities (Oxford UP, 2013). Since 2008, he has organized the biennial conference “The Making of the Humanities” and co-edited the resulting book series on The Making of the Humanities, Vols. 1 and 2 (U. Amsterdam Press, 2011/2013). 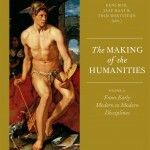 Bod has a unique cross-disciplinary approach to the historical and contemporary humanities. 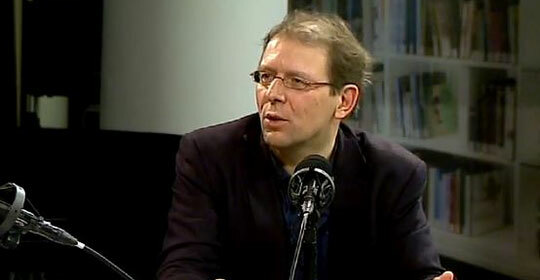 After undergraduate studies at the University of Utrecht (Physics and Astronomy) and the University “La Sapienza” in Rome (Letters), he obtained his PhD in Computational Linguistics at the University of Amsterdam (1995). He worked as a researcher at Xerox Parc (California), and at the Royal Academy of Arts and Sciences (Netherlands). 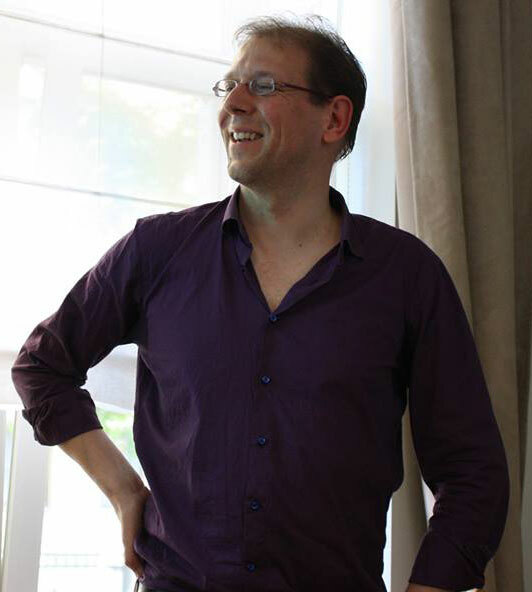 In 2005 he became a full professor in Artificial Intelligence at the University of St Andrews (UK), followed by a professorship in Digital Humanities at the University of Amsterdam. His research covers virtually all humanities disciplines. From a computational perspective, he has built algorithms for natural language perception, music perception, literary analysis, aesthetic analysis, logical reasoning and historical modeling. From a historical perspective he has worked on the comparative history of the humanities, resulting in his cross-cultural book and editions on the history of the humanities. He currently heads the Center for Digital Humanities — a joint initiative between the University of Amsterdam, the Free University and the Royal Academy of Arts and Sciences — which runs over 30 projects as well as a master program. He also regularly writes in the popular press on unexpected uses of the humanities, revealing himself to be an ardent advocate for the humanities. David Marshall is the Michael Douglas Dean of Humanities and Fine Arts, and Professor of English and Comparative Literature at University of California, Santa Barbara. He recently completed a seven-year term as Executive Dean of the College of Letters and Science. Marshall is Chair of the University of California President’s Advisory Committee on Research in the Humanities, which oversees the UC Humanities Network. He is also Vice President of the Board of Directors of the National Humanities Alliance. Marshall was a professor at Yale University from 1979-1997, serving as Chair of the English Department, Director of the literature major, Acting Chair of comparative literature, and Director of the Whitney Humanities Center, among other appointments. He received his B.A. from Cornell University in 1975 and then went on to receive his M.A. and Ph.D. from The Johns Hopkins University. His research focuses on eighteenth-century fiction, aesthetics, and moral philosophy. 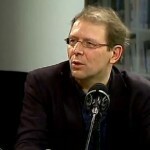 He is the author of essays on Homer, Shakespeare, Austen, Lennox, Mackenzie, Rousseau, Wordsworth, Hume, and Rilke, among other authors, and three books: The Figure of Theater: Shaftesbury, Defoe, Adam Smith and George Eliot (1986); The Surprising Effects of Sympathy: Marivaux, Diderot, Rousseau, and Mary Shelley (1988); and The Frame of Art: Fictions of Aesthetic Experience, 1750-1815 (2005), which was awarded the 2005-06 Louis Gottschalk Prize by the American Society for Eighteenth-Century Studies. 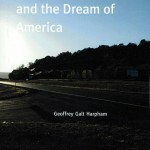 Marshall also has lectured and published on issues in higher education and the humanities. Marshall was a Guggenheim Fellow and he received Yale’s Morse Fellowship. He served on the editorial board of Eighteenth-Century Studies and the advisory committee for PMLA. For the Modern Language Association (MLA), he served on the Committee on Honors and Awards and also chaired both the Scaglione Prize for Comparative Literary Studies Selection Committee and the Division Executive Committee for Comparative Studies in Eighteenth-Century Literature. He was a member of the MLA’s Teagle Working Group on the Disciplines and Undergraduate Liberal Education, as well as the AAU/ACLS Humanities Steering Committee. Alan Liu is Professor in the English Department at the University of California, Santa Barbara. He has published books titled Wordsworth: The Sense of History (1989); The Laws of Cool: Knowledge Work and the Culture of Information (2004); and Local Transcendence: Essays on Postmodern Historicism and the Database (2008). Recent essays include “The Meaning of the Digital Humanities” (2013), “From Reading to Social Computing” (2013), “Where is Cultural Criticism in the Digital Humanities?” (2012), “The State of the Digital Humanities: A Report and a Critique” (2012), and “Friending the Past: The Sense of History and Social Computing” (2011). Liu started the Voice of the Shuttle web site for humanities research in 1994. Projects he has directed include the University of California Transliteracies Project on online reading and the RoSE (Research-oriented Social Environment) software project. Liu is founder and co-leader of the 4Humanities.org advocacy initiative.